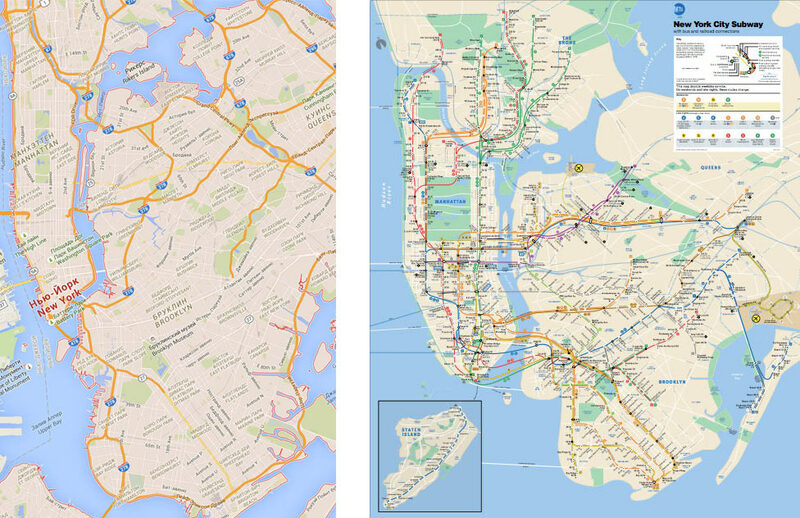 For many people, a map of a transport network is a given, an expected part of a system, something that just is — like a fire escape plan in a building. So when I say that I design transport maps, they don’t understand. What is there to design, even? All line segments were put to the angles of 45° and 90°. The distances between stations were equalised. I wrote about it in part three of my “Maps and reality” series, Diagrams. Every transport network requires a specialised solution. 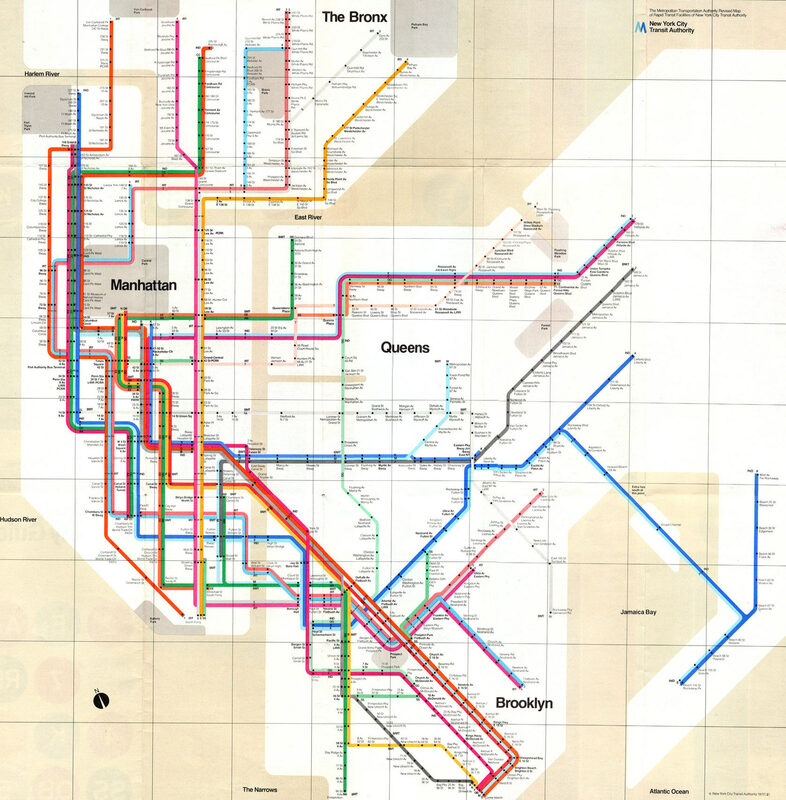 Vignelli couldn’t have used them in New York. In London, lines rarely run together through the same stations. And when they do, all trains in a “wisp” stop at all of them — see Great Portland Street and Euston Square above. You can see that at some stations, not every line has a bullet. 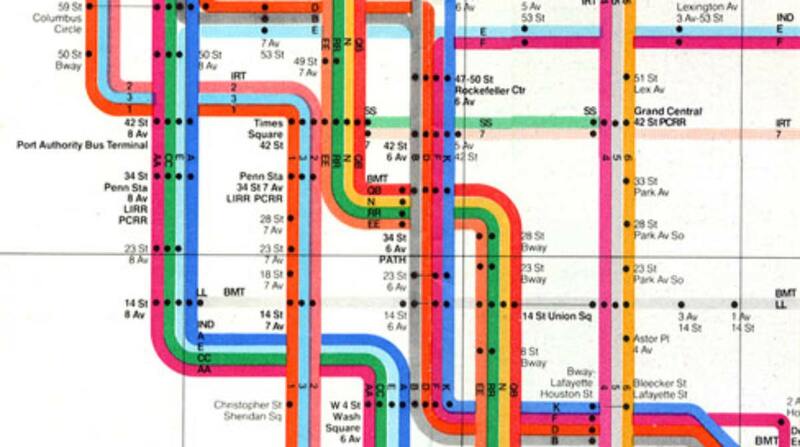 Vignelli’s map was beautiful, but, unfortunately, unsuccessful. People considered it too abstract. Having no geographical reference, the eye had nothing to catch on. Also, the stations named with street numbers looked identical — the font was just too small for that. 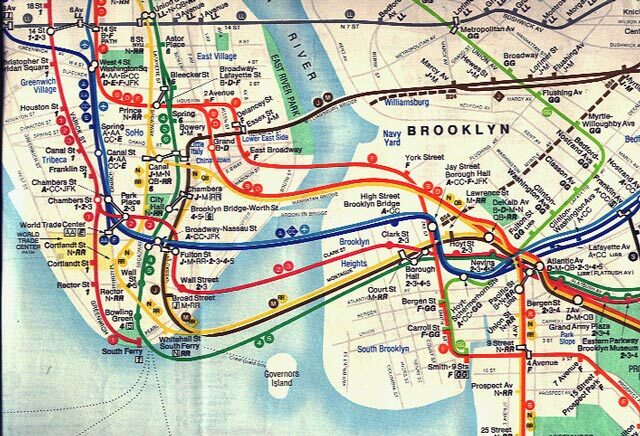 This design was the closest to London’s that New York has ever seen. But there’s a list of stopping routes at each station. Look at the red line, for example. 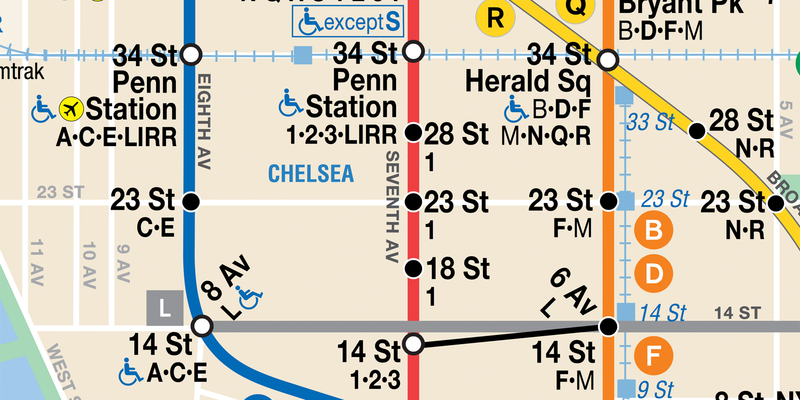 Only route 1 stops at 18, 23 and 28 st., but all routes stop at 14 and 34 st.
Hertz’s map doesn’t look stylish. But it has proven to work well. This is a very specific, bulletproof design tailored to New York.